For the past few years, I have been teaching a class to all our young learners at the preschool on social skills development. I call this “Friendship and Problem-solving Class” to emphasize that we all make decisions about how we relate with other people. We can choose to find ways to get along, even when we have disagreements and strong feelings. Social and emotional learning (SEL) is often referred to as “soft skills” or “non-cognitive” skill development in educational settings. I think this is completely inaccurate, as we have come to understand the very close connection and interrelationship between social development and academic competence. Learning is a social process! Research shows that supporting students’ social and emotional development can produce an 11 percent point gain on academic scores. Attention to emotional development effects the architecture of our brain. Although we know that SEL is important, not everyone agrees on what exactly it entails and the most important components. Some see it as a set of tools for learning while others emphasize the moral and character building aspects. The Collaborative for Academic, Social and Emotional Learning (CASEL) states the definition of SEL as follows: “Social and emotional learning is the process through which children and adults acquire and effectively apply the knowledge, attitudes, and skills necessary to understand and manage emotions, set and achieve positive goals, feel and show empathy for others, establish and maintain positive relationships, and make responsible decisions.” That certainly is a lot to address and pervades all aspects of our lives. 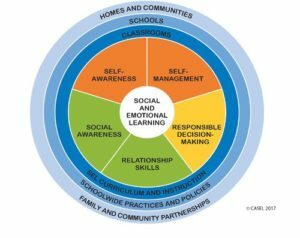 The following chart displays the core competencies of SEL learning defined by CASEL and the ways these are nested within our classrooms, schoolwide programs, families and communities. Social, emotional, and cognitive competencies can be taught and developed throughout childhood, adolescence, and into adulthood. Evidence shows that high-quality programming focused on SEL makes a positive difference for children’s academic achievement and behavior. Although there are a number of excellent SEL programs available for early learning, I primarily utilize the Second Step program developed by Committee for Children. This curriculum addresses the 5 core competencies outlined in the wheel: self-awareness, self-management, social awareness, relationship skills and responsible decision making. 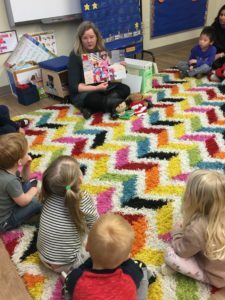 As I rotate through our classrooms each week, there are a variety of stories, activities, and puppet plays that illustrate each learning area. The beginning of the school year focuses on exercises in self-regulation. To be able to get along with peers and become ready to learn in school, children need to be able to control their impulses, emotions, thoughts and actions. Self-regulation, a critical part of the executive functioning of the brain, is the foundation for school readiness. We then work on empathy development by helping children identify and understand feelings. As emotional vocabulary grows, children notice other people’s feelings and begin to see things from perspectives other than their own. Children practice listening to each other and acting with kindness. Lessons in emotional management are very important as young children often have strong reactions. We practice calming down and deep breathing before we act. Using a strong and respectful voice, students request what they want or need. We talk about how it is not okay to hurt others or use mean words when we are angry. Toward the end of the year, the lessons include problem-solving steps by describing the problem, coming up with multiple solutions, and then analyzing the outcomes of the problems. The emphasis is always on finding fair ways to play and choosing to have fun with others over getting one’s own way. 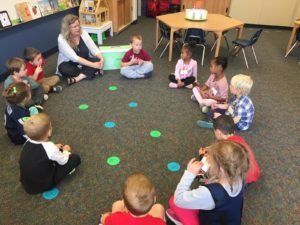 Teaching these lessons during circle time is not enough for children to gain competence. It is during the informal moments of the day, (playground, lunchtime, choice time) that children have the opportunity to put these skills into practice. That is why informal learning environments are every bit as important as formal lesson presentation. This is when children need the watchful attention from teachers and parents to help guide them in making positive choices, sharing, cooperating, and negotiating as they play with each other. With adult support, children learn to express their views, resolve conflicts, include others, and enjoy relationships. Of course, this can all be summed up in the words of Christ in Matthew 7:12, “Do to others whatever you would like them to do to you. This is the essence of all that is taught in the law and the prophets.” The Golden Rule brilliantly and elegantly reminds us to work actively for the good of others, treating everyone with the respect and kindness we would like to receive ourselves. 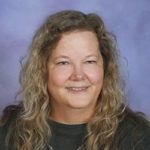 Lisa Henderson is currently the program supervisor and social-emotional teacher at King’s Preschool, working with children from 18 months to 6 years old. Prior to this position, she was a lead teacher in preschool classrooms for more than 10 years. In her many different roles at King’s, she is interested in the process of quality teaching and learning environments that foster children’s exploration, growth, inclusion, and community building. Her interest in social-emotional learning in children led her back to school to receive a master’s degree in Educational Psychology from U.W., where she currently working on a PhD in Human Development and Learning Sciences.